A redesign of a logo can be a daunting thing for client, designer and the public. Whilst the client may have commissioned the logo redesign, they might be scared whether the redesign will go a step too far or whether the target audience will accept the new design. Sometimes the client is scared to start at all, imagining that their good old logo that’s got them so far might be obliterated by a designer. The designer on the other hand might well be scared of the client’s expectations. Should they redesign the logo completely or tweak it? Will their work be valued in any either case? Many a time clients commission a logo redesign but don’t go ahead and use the new one. This can leave doubts in the designer’s head as to whether the redesign was any good. More often than not though, the reason why clients don’t use newer, better re-designed logos is because they’re so attached to their old ones. Last but not least there’s the biggest critics, the public. Their reaction could be spontaneous, their opinions could be wrong, it could be an uneducated objection and regardless of any of that, they could just be completely right. Logo redesigns don’t have to be daunting or daring. And they don’t have to be complete revamps either. Take a look at some well know Logo Redesigns and how they’ve faired. Not such an obvious redesign but one that was quite heavily and positively featured in the design industry simply due to its minor aesthetical changes which create quite an impact. It looks the same, but the technicalities make it a better logo, one that shows better legibility and is a little easier on the eye. Yahoo hadn’t done much to their logo since the business opened in 1994 so the redesign was welcomed. The original was not the most pleasing design ever, but it was original. Whilst the new logo design was not easily accepted, it was an improvement. The TGI Fridays logo redesign is one of those dangerous ones. Old and true vs modern and new. The old logo was characterful, creating a unique identity but like most businesses who grow with success, there comes the day when it’s time to streamline. 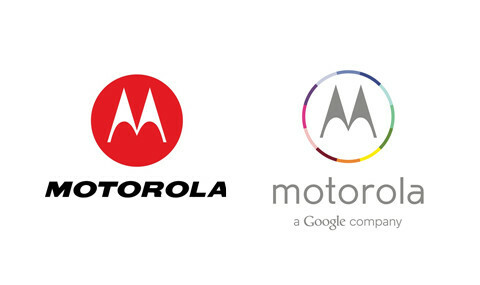 The Motorola rebrand was an interesting scenario. The tech company was previously a pretty big player but in the fast-changing times of telecommunication it found itself like many, left behind. 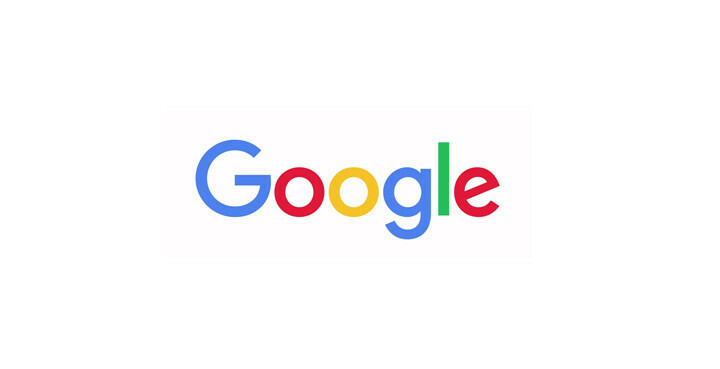 Bought out by Google and visually revamped, the new logo is fresh with a contemporary edge and certainly gives the Moto image a big boost in terms of credibility. It’s new found colours and style don’t really outdo the simplicity of the old design. Business wise and communication wise it does the job. Design wise, it may have been a step too far. Whilst “flat design” is currently the trend for the web, Firefox made streamlined tweaks to their logo design making all the gradients flatter but without losing the gradients altogether. It was a perfect upgrade that fits in with currents trends yet still keeps its original style. Google have been slowly edging towards a flatter logo with every logo revision in an attempt to streamline itself into the future. The latest iteration loses the serifs and joins the mainstream with a sans-serif font. Lloyds black horse has been iconic through time and their last iteration uses a glossy effect button style for the horse. An indication of staying current. Lloyds like almost everyone else has followed suit to streamline the logo design, exchanging the serif font for a sans-serif. Comparing it to the old it shows a loss of heritage and character but considering its circumstances, the newer Lloyds logo works well to project an image of a strong contemporary bank. It’s a fine balance of staying current, trendy but without being over slick. 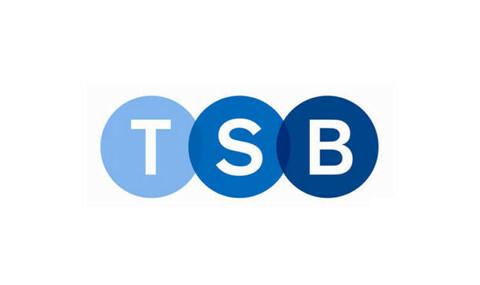 On the flipside we have the TSB logo redesign which just looks awful. For its 100th year in publication Vanity Fair magazine revealed its new logo and whilst everyone else was streamlining with sans-serif fonts, Vanity Fair did the opposite. On this rare occasion it’s pretty hard to choose which one is better. There just as good as each other. Microsoft have been on a roll since windows 8 with regards to design. They instigated the Metro look as well as edged into the flat trend of 2013. Looking at the old Bing logo now, it looks pretty horrible so any new logo would be an improvement. Overall the logo slots itself nicely into the MS theme and image wise it generates a fresher, current and cleansing look. Technically however it is a little odd in execution with the icon and type not really merging together but it’s a good step forward. The Yellow Pages changed its business model to fit into digital life, resulting in several new logo iterations over the past 20 years (there’s actually dozens). Regardless of icons, the colours have always stayed the same until the last iteration taking a warmer mustardy yellow in substitute of a bright yellow. With so many past variants, this logo sets a new tone and approach and simply defines itself more confidently as an identity. The courage behind the logo redesign is praiseworthy because it is pretty daring considering the old design. In terms of working as a logo design, I’m not entirely convinced. I love the logo but don’t love it for Thomas Cook? The colour scheme and type look very B2B and the original sky blue seems to communicate the idea of “holiday” better than the new orange. 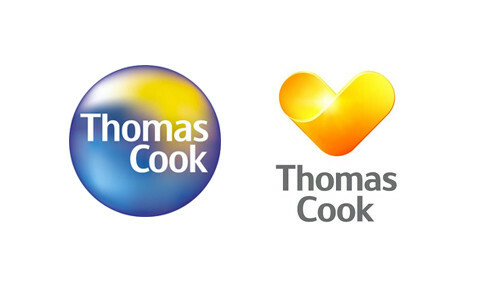 It’s a nice logo design with a clear change in mind almost reminiscent of the Virgin V in terms of dynamics and emotion and even though its 100% better than the old logo I’m not sure it’s the right logo for Thomas Cook. A logo redesign doesn’t have to be that scary for clients or designers alike. 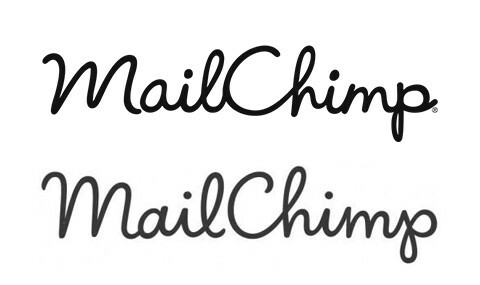 A small change like Mailchimp’s logo redesign worked wonders for the company. Likewise, Thomas Cook’s complete redesign is a step into the future. In any case the most important part of a logo redesign is to show change, and even a little goes along way. Are you looking to redesign your current logo design. We’re a small brand design studio based in the Romford & Hornchurch area of Essex, UK and we’ve designed logos for over 70 businesses, locally, nationally and internationally. Get in touch to discuss your logo redesign.